While I was in the process of building a delightful new Victorian house, I realized something truly awful. Two of the windows I was using didn't match the rest of the trim! It seems that the colonial tall arch window from the basegame and the two-tile open arch window from Seasons were both capped at a dreadful grey colour, incapable of looking properly white, no matter how I CASTed them. This is obviously in need of fixing. See how much nicer that looks? 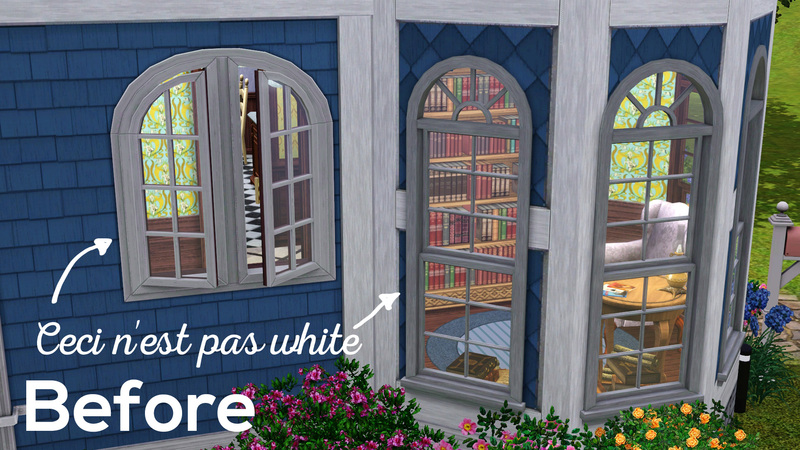 Never again shall a sim be cursed with drab window trims! These are default replacements. 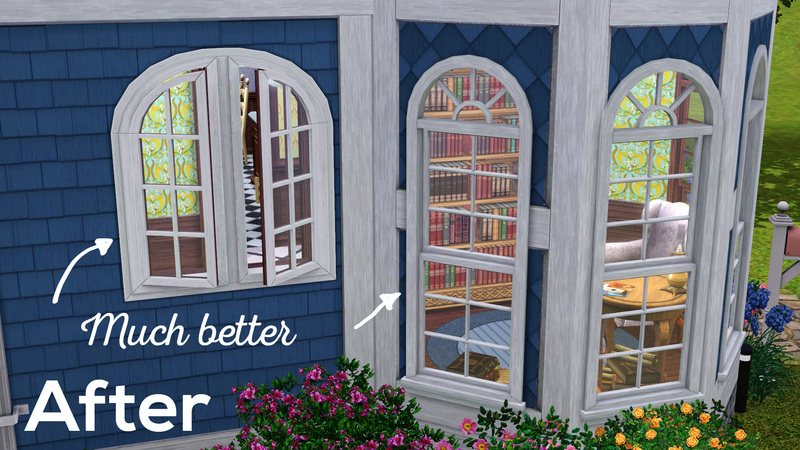 The Seasons window fix requires the Seasons EP to work. Note that if the fixed trims aren't showing up correctly in-game, make sure to clear all of your caches including the world caches. Huge thanks go to Greenplumbbob and Buckley, who told me how to fix this issue and helped me remember that world caches are a thing that one should clear. Also, bonus points to anyone who gets the reference in the title. Base Game Half Walls FIXED!!! !